Right now, on the upper reaches of the Billboard 200 album chart, in the midst of 21st-century pop frivolities like Maroon 5, Jeezy, Sam Smith, Ariana Grande, and Now That's What I Call Music 51, sits Guardians of the Galaxy: Awesome Mix Vol. 1, which once reigned at no. 1, and now sits comfortably in the Top 10 for the sixth straight week. Not bad for an album whose cover art features an old cassette tape and whose most recent song came out in 1979; in fact, it's the first soundtrack album in history consisting entirely of previously released songs to top the chart. So what do you get for your money here? There's moldering oldies like Rupert Holmes's yoga-dissing "Escape (The Piña Colada Song)" and cherished oddities like Norman Greenbaum's "Spirit in the Sky" and evergreens like the Jackson 5's "I Want You Back." But tucked into the 12-song soundtrack—and playing over the very first scene in the summer-dominating film itself—lies 10cc's cloud-rock classic, "I'm Not in Love." Yes, cloud rock—calling it "soft rock" can't quite capture its intangible glory. It's a strange bit of justice for the tongue-in-cheeky British art-rock band, finally hitting the top of the U.S. charts in 2014. For a supremely off-kilter group of people, though, it makes a certain kind of sense. British musicians Graham Gouldman, Eric Stewart, Kevin Godley, and Lol Creme first wound up working together regularly at their own Strawberry Studios in the late '60s, a veritable cottage industry for disposable pop of that era. As Creme once recalled, "Singles kept coming out under strange names that had really been recorded by us. I've no idea how many there were, or what happened to them all." One song, "Neanderthal Man," credited to Hotlegs, sold two million copies, and the quartet soon found themselves opening for the Moody Blues, though that iteration proved to be a one-hit wonder. At Strawberry Studios, they collaborated with both Neil Sedaka and a PE-instructor-turned-Egyptian-Pharaoh-incarnate who recorded psych-rock under the name Ramases. (Aside: Six CDs of Ramases music were recently reissued by a label run by actor Peter Stormare—yes, the guy who played the Buscemi-chippering psychopath in the original Fargo.) But the best (and weirdest) was still to come: Renaming themselves 10cc in 1972, the foursome's first single, "Donna," reached no. 2 on the U.K. charts, and their art-rock career was afoot. From there, 10cc did everything from Zappa-esque numbers to jerky stabs at white reggae; as hip-hop heads know, their 1974 single "The Worst Band in the World" was chopped up by J. Dilla for his classic 2006 album Donuts. But "I'm Not in Love" is the band's legacy. 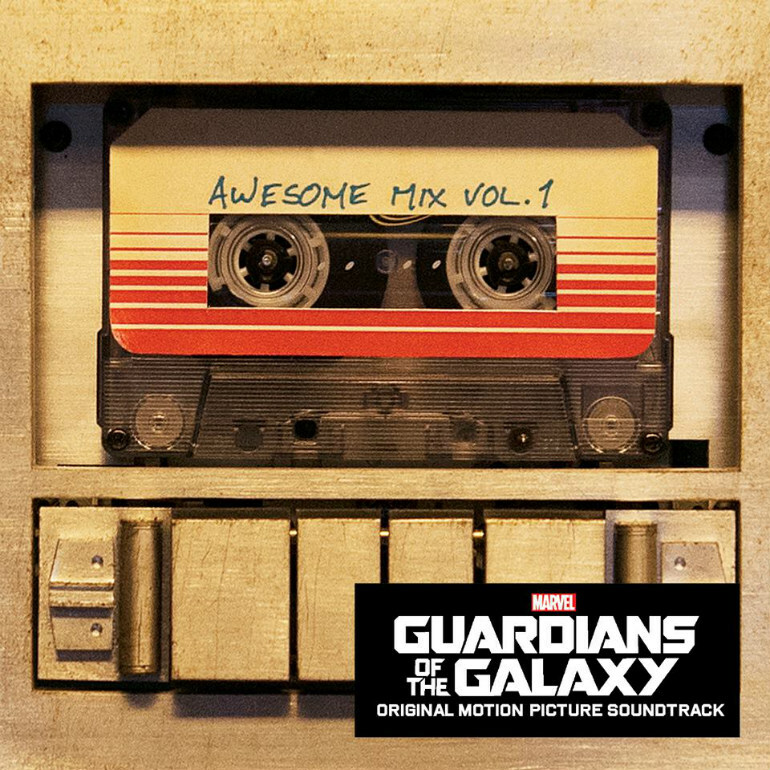 In sharp juxtaposition to the groovy and upbeat AM gold heard elsewhere in the biggest film of the summer (and, to this point, the highest-grossing film of 2014), the song sets a somber and bittersweet tone for Guardians, opening on a tight shot of a cassette held by our hero, Starlord, as a young boy, slowly zooming out to reveal him sitting in a hospital, awaiting the prognosis of his dying mother. It's a huge showcase for the song, which wasn't exactly toiling in obscurity to begin with. In his recent Rolling Stone interview, Guardians director James Gunn made a slightly specious claim: "I think most of the songs never truly had their day in the sun." To the contrary, "I'm Not in Love" was massive in its day, topping the British charts. But in the U.S. in the summer of 1975, 10cc just failed to reach the no. 1 spot, blocked in consecutive weeks by Van McCoy's "The Hustle" and the Eagles' "One of These Nights," and later, the Bee-Gees' "Jive Talkin.'" Nonetheless, it remains one of the most technically groundbreaking pop songs of the modern era, inspiring a 10-minute BBC documentary dedicated to detailing the innovative recording techniques it required. But "I'm Not in Love" was almost scrapped and never recorded. As Stewart recalled, it began as a bossa nova song before Godley had another idea: "Let's do a whole track, and the whole backing track is voices." Across three weeks, the four bandmates made tape loops of themselves singing a single note in unison to 16-track tape, mixed it down to one track, and filled up the remaining 15 tracks until they had a choir of 256 voices. Technical as that might read, the proof is in the playing: a big, billowing, pink cloud of sound that seems to waft in like a sublime aural fog whenever the song comes on the radio, only to slowly dissipate once more into the ether. On the strength of that song alone, Mercury Records offered the group a five-album deal, and the rest was history. 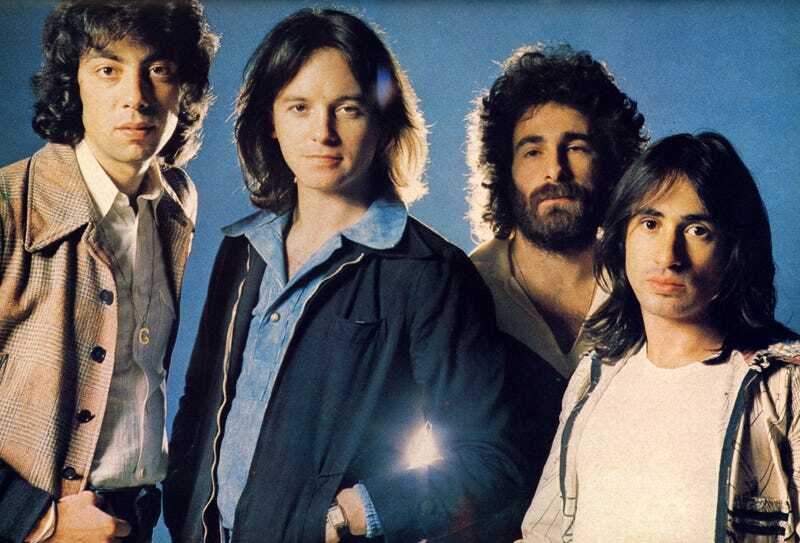 Or rather, 10cc as a four-man entity was history. In 1977, Godley & Creme split from Gouldman and Stewart, the latter scoring a Top 5 hit that year with the hokey "The Things We Do for Love," while the former spun out one of the most batshit-crazy albums ever made. Consequences is a phantasmagorical trip that drew on the vocals of Sarah Vaughn, British comedian Peter Cook, and a funny little device the duo had invented called the "Gizmotron." (Which you can also hear on Led Zeppelin's "In the Evening" and Throbbing Gristle's 20 Jazz Funk Greats). An album that veers from progressive rock to a surreal radio play to field recordings to piano ballads into white noise at the drop of a hat, it's spread across three LPs and utterly baffling. "I'm Not in Love," meanwhile, forever lingers at the periphery of popular culture, appearing in both Bridget Jones: The Edge of Reason and Grand Theft Auto: Vice City Stories, while no doubt haunting some corner of FM radio at this very moment. It's also still lurking on dance floors: Club-minded remakes of the song garnered hits for acts like Will to Power in 1990 and Olive in 2000. In fact, Godley & Creme recorded a sort of sequel, taking the original's whispered female assurance "Big boys don't cry" as the starting point for their 1985 hit "Cry." With the duo earning greater accolades as early music-video directors (they are responsible for iconic clips like The Police's "Every Breath You Take," Wang Chung's "Everybody Have Fun Tonight," and Herbie Hancock's "Rockit"), their video for "Cry" blended faces via analog cross-fading, which anticipated the digital effect of morphing. Groundbreaking as that video is though, my favorite use of "Cry" came during an episode of Michael Mann's Miami Vice: It's ideal music for a sockless-yet-shoed Don Johnson to shoot a shirtless-yet-sports-coated Ted Nugent to. At the end of the BBC doc, the commentators estimate that "I'm Not in Love" has had some three million airplays in the U.S., coming out to roughly 34 years of consecutive airtime. But now, thanks to Guardians, it's even more inescapable; in the future, it will no doubt even soundtrack life on the planet Morag.